The SC Archery in the Schools program is offering SC students in grades K-12 chance to win a iPad by entering a T-Shirt design for the SC Archery in the Schools State Tournament. The Contest is governed by these Rules and any Student which enters, attempts to enter or in any way participates or attempts to participate in the Contest, as well as those individuals who submit the entries, agree to be bound by the terms and conditions set forth in these rules, as well as by all interpretations of these rules by SCDNR and by all other decisions of SCDNR which are final and binding in all matters relating to the Contest. No purchase is necessary to enter or win a prize. A purchase will not improve your chances of winning. The Contest is subject to and governed by applicable federal, state and local laws and regulations. Participation in this Contest is void where prohibited or otherwise restricted by law. 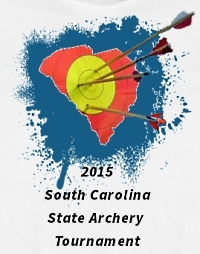 The Sponsor of the contest is the South Carolina Department of Natural Resources SC Archery in the Schools Program. SCDNR reserves the right to cancel, terminate, modify or suspend the Contest if it is not capable of being completed as planned for any reason, including, but not limited to, infection by computer virus, "bugs", tampering, unauthorized intervention, fraud, or technical failures of any kind or any other causes which corrupt or affect the administration, security, fairness, integrity, or proper conduct of the Contest. In addition, SCDNR may decide and is entitled to cancel or terminate the Contest if less than 3 eligible entries are received. The decision of SCDNR to cancel, terminate, modify or suspend Contest shall be final in all respects. The Contest is open to any SC students in grades K-12. Each student submitting a Design entry is referred to as "Participant." Entry Period: The Contest begins at 12:00:01 AM (Eastern Standard Time) on December 1, 2016 and ends at 5:00 PM (Eastern Standard Time) on , January 10, 2017 (the “Entry Period”). Design Content: Designs must have the SCDNR logo and the NASP logo. Designs may be used on any style of T-shirt. Art, lettering, etc. may be on the front, back, or sleeves of the T-Shirt. Also, we are now partnering with IBO, so you can include 3D targets on the design. Inappropriate Content: Designs must be: (1) entirely original and created by the participant; or (2) be in the public domain and not infringe upon or violate any person's or entity's rights (e.g. including intellectual property rights, rights of publicity and rights of privacy). For example, Designs should not include established trademarked or copyrighted designs, phrases or materials or parodies of established trademarked or copyrighted designs, phrases or materials. Designs may not be created by or in any way involve third parties, including but not limited to internet design companies, marketers/advertisers or anyone else. Designs may not feature, reference or contain any unlawful, libelous, threatening, defamatory, obscene, vulgar, pornographic, abusive or profane materials. Designs also may not feature, reference or contain tobacco, alcohol, drugs, rebel flags, sexual connotations or other material deemed to be potentially inflammatory by SCDNR. Designs that do not comply with the above or these Official Rules, or that otherwise contain prohibited or inappropriate content as determined by the SCDNR, in its sole discretion, will be disqualified and ineligible to win. E-mail the entry to MayhughC@dnr.sc.gov. Designs must be in the form of a PDF, JPG or PNG and not exceed 7 MB in size). Regardless of method, entries must be received within the Entry Period. Multiple Submissions: Participants may submit up to (2) designs. Design Transfer of Ownership and License: Once a Design is received by SCDNR the design is final and may not be modified or edited without permission from SCDNR. Once entered, all license and/or ownership rights as set forth in these rules become effective and design entries will not be returned to the participant. False Fraudulent or Deceptive Submissions, Entries or Acts: Individuals who, in the view of SCDNR, provide false, fraudulent or deceptive Designs or submissions or who engage in false, fraudulent or deceptive acts in connection with the Contest will disqualified. Late, misdirected or lost entries. All eligible Designs will be initially judged by a panel of SCDNR staff ("Panel"). The Panel will judge the designs based upon the following criteria: originality (25%), creativity (25%), and potential commercial success (50%). 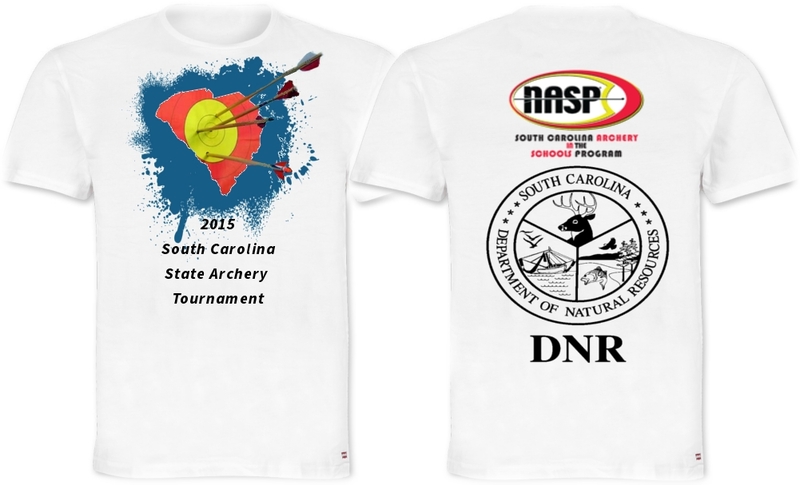 Winning Designs will be posted on the SCDNR Archery website and individual winners notified. As consideration for entering the Contest, each individual submitting a design agrees to RELEASE, DISCHARGE AND COVENANT NOT TO SUE the SCDNR, National and indirect affiliates, divisions, parent and subsidiary companies, participants, officers, employees, volunteers, shareholders, representatives, managers, members, directors, owners, agents, insurers, attorneys, predecessors, successors, and assigns thereof (collectively, the Released Parties), from and against all claims, damages, charges, injuries, losses, proceedings, suits, actions (including but not limited to tort actions, product liability actions, wrongful death actions, warranty actions, breach of contract actions, privacy and defamation actions, misappropriation of likeness actions, identity theft, trademark or copyright infringement, loss of consortium claims), expenses and attorney fees that they or anyone on their behalf (including but not limited to their heirs, representatives or next of kin) have or might have for any death, injury, damage or claimed injury or damage arising out of, involving or relating to their participation in the Contest, including, but not limited to, any claim that the act or omission complained of was caused in whole or in part by the strict liability or negligence in any form of the Released Parties. Additionally, as consideration for entering the Contest, each individual submitting a Design agrees to indemnify, hold harmless, and defend the Released Parties in any action or proceeding from and against all claims, damages, charges, injuries, losses, proceedings, suits, actions (including but not limited to tort actions, product liability actions, wrongful death actions, warranty actions, breach of contract actions, privacy and defamation actions, misappropriation of likeness actions, identity theft, trademark or copyright infringement, loss of consortium claims), expenses and attorney fees that they or anyone on their behalf (including but not limited to their heirs, representatives or next of kin) have or might have for any death, injury, damage or claimed injury or damage arising out of, involving or relating to their participation in the Contest or for their failure to comply with the terms of the above release provision. This agreement to indemnify, hold harmless and defend applies even if the act or omission complained of was allegedly caused in whole or in part by the strict liability or negligence in any form of the Released Parties. Unless prohibited by applicable law, each individual submitting a design authorizes and irrevocably grants to SCDNR permission to, from time to time, reference and discuss the Design and/or the individual submitting the design and their participation in the Contest on their website, in photographs, video recordings, digital images, audio recordings, publications, newsletters, news releases, promotional or other printed materials, and in materials made available on the Internet or in other media now known or hereafter developed for any purpose SCDNR and/or the Released Parties deem proper. Such reference and discussion may include (but not be limited to) the individual's name and other personal/biographical material. Unless the Contest is terminated prior to the end, by participating in the Contest, each individual submitting a design irrevocably grants to SCDNR the perpetual right, without any liability to any person or entity, to reproduce, adapt, transmit, distribute, communicate, make available and otherwise use the design submission and associated content, without payment or any compensation to the individual submitting a design, other than as set forth in the Rules. This license applies perpetually throughout the universe in any medium and in any manner, now or hereafter known, including, without limitation, radio and television broadcasts, internet, cable and satellite transmissions, and print and other publications without additional compensation to the individual submitting the design or any other individual or entity. Additionally, unless otherwise prohibited by law, each individual submitting a design agree that Winning Designs and associated content become the sole and exclusive property of SCDNR and they assign all rights, title and interest in the winning design and associated content to SCDNR upon their selection as a winning design. Each individual submitting a design agree to be bound by these Rules. Non-compliance with any of these Rules will result in disqualification and all privileges as a Participant will be immediately terminated. SCDNR, in its sole discretion, further reserves the right to disqualify any Participant for: (i) tampering with the entry process or the operation of the Contest; (ii) gaining an unfair advantage in participating in the Contest; (iii) obtaining winner status using false, fraudulent or deceptive means; or (iv) engaging in otherwise unsportsmanlike, disruptive, annoying, harassing, or threatening behavior. Warning: any attempt by any participant or any other individual to deliberately circumvent, disrupt or damage ordinary and normal operation of any contest, telephone systems or web site, or undermine the legitimate operation of any contest is a violation of criminal and civil laws. Should such an attempt be made, SCDNR reserves the right to seek damages from any such individual to the fullest extent permitted by law. To the extent permitted by law SCDNR reserves the right in its sole discretion to supplement or make changes to these Rules at any time without notice. SCDNR reserves the right in its sole discretion to interpret the rules of the contest, and such interpretation shall be binding upon all participants. This Contest shall be governed by and construed in accordance with the laws of the State of South Carolina, without reference to its conflict of laws principles. By entering the Contest, Participants hereby submit to the jurisdiction and venue of the federal and state courts of South Carolina, Richland County and waive the right to have disputes arising out of the subject matter hereof adjudicated in any other forum. In no event, will any Participant be entitled to injunctive relief or equitable relief of any kind, or restrain the continuation of any contest. These logos are required to be on the shirt design. Click on the image to download a higher resolution version.